The plebiscites will be held in the foreseeable future, the president said. President Petro Poroshenko said that Ukraine in the foreseeable future will hold referendums on joining NATO and on membership in the European Union. 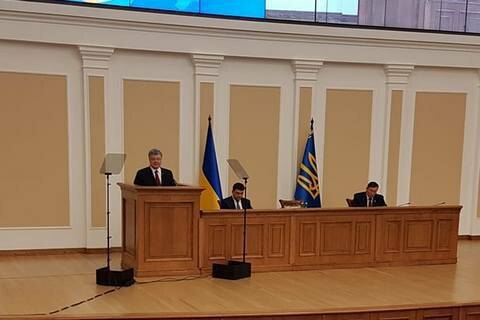 "I do not doubt that in the foreseeable future, referenda will definitely be held in Ukraine on joining NATO," Poroshenko said speaking at the Prosecutor-General's Office on the occasion of the Day of Prosecutor's Office workers. Poroshenko has repeatedly promised to hold a referendum on NATO membership but he never raised the issue of a referendum on joining the EU.